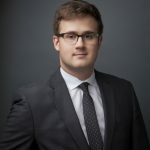 Cory was a summer student who returned to Williams HR Law as an articling student in the summer of 2018. Cory obtained his J.D. at Osgoode Hall Law School where he received the Dean’s Gold Key Legacy Award, the LGBTQ Community Contribution Award, the Warren K. Winkler Award, the Goodmans LLP Award and the Jack A. Seed, QC Award in recognition of his academic accomplishments and contributions to the Osgoode community. 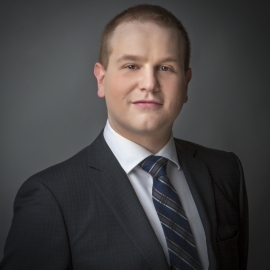 Cory served on Osgoode’s admissions committee for two years and was an avid mooter in law school, where he participated in four moot competitions, placing first in two. Cory was an active member of Osgoode’s community serving as the Chair of Student Caucus, the school’s student government, and as President of the school’s LGBTQ students association for two years. In his role as Student Caucus Chair, he successfully negotiated with Osgoode’s administration on behalf of students during the 2018 labour disruption. He was also responsible for Osgoode’s largest student-led fundraising event, raising over $6000 for charity, tripling the amount raised in previous years. 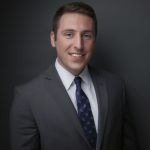 Before starting law school, Cory worked as an Executive Recruiter where he developed a strong interest in labour and employment law. He has also developed a keen interest in litigation during his time at Osgoode. In his free time, Cory enjoys hanging out with his dog Plato and spending time with close friends and family and volunteering. He is an accomplished traveler who hopes to continue exploring the planet.